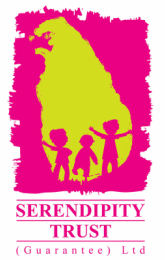 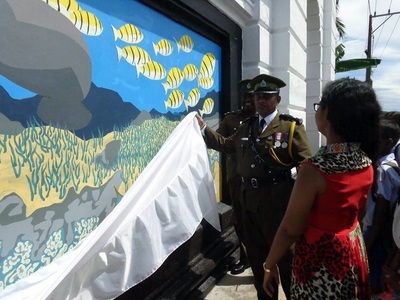 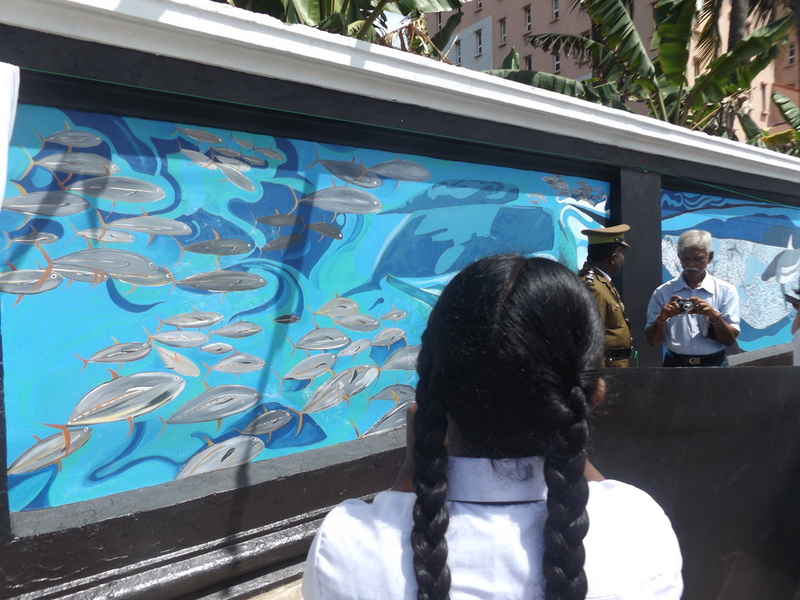 This Oceanic Conservation Mural was painted by Rose Abeywickrama (aka the Painting Pirate) and coordinated by the Galle Prison in partnership with the Serendipity Trust. We are very proud to have funded this project and very grateful for the support we received from the local community. 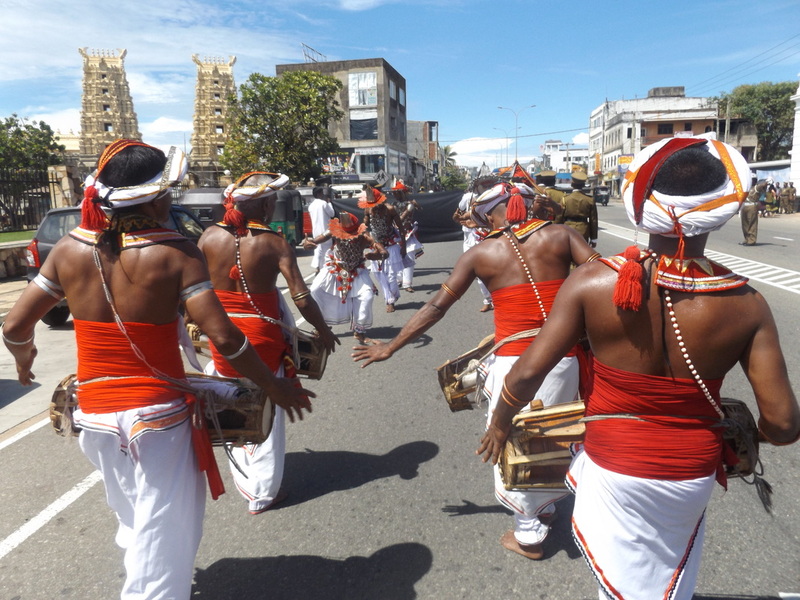 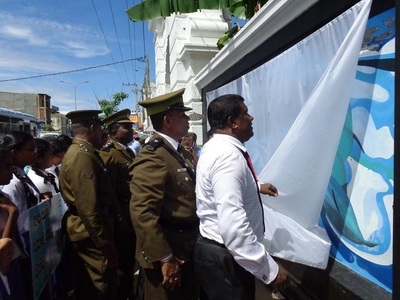 This prominent public wall is on the main road of the city of Galle, the gate way to the south of Sri Lanka. A beautiful coastal city. 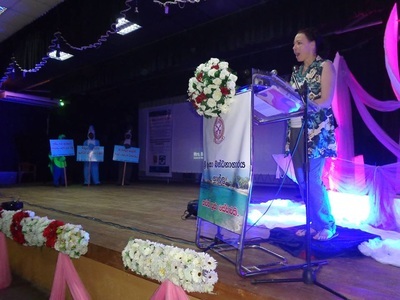 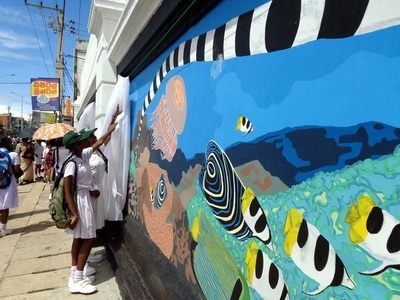 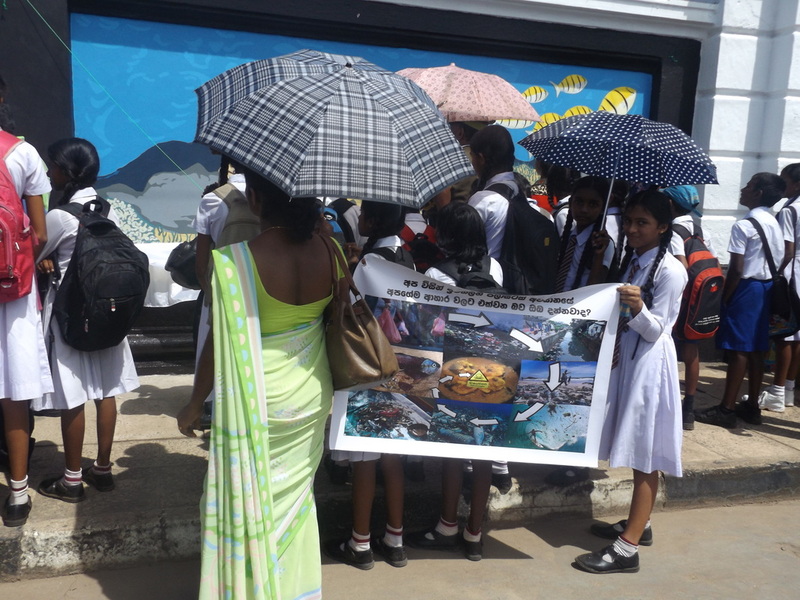 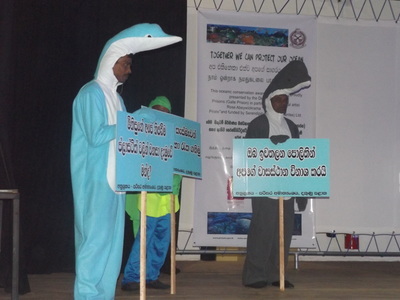 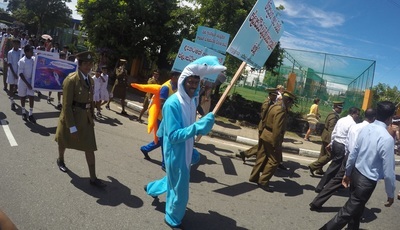 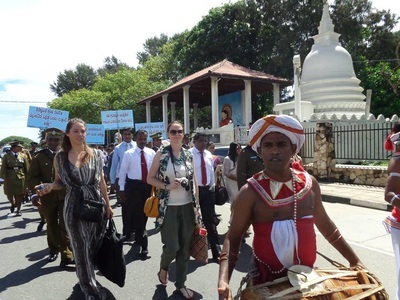 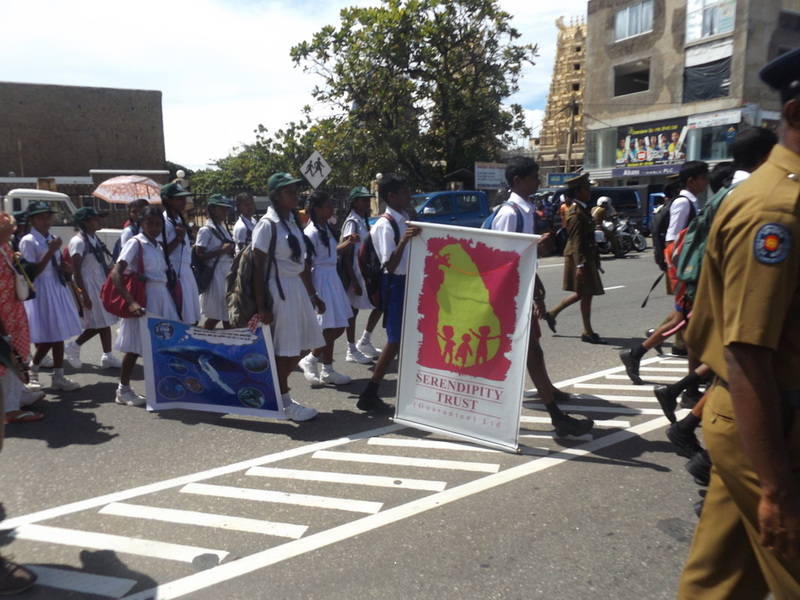 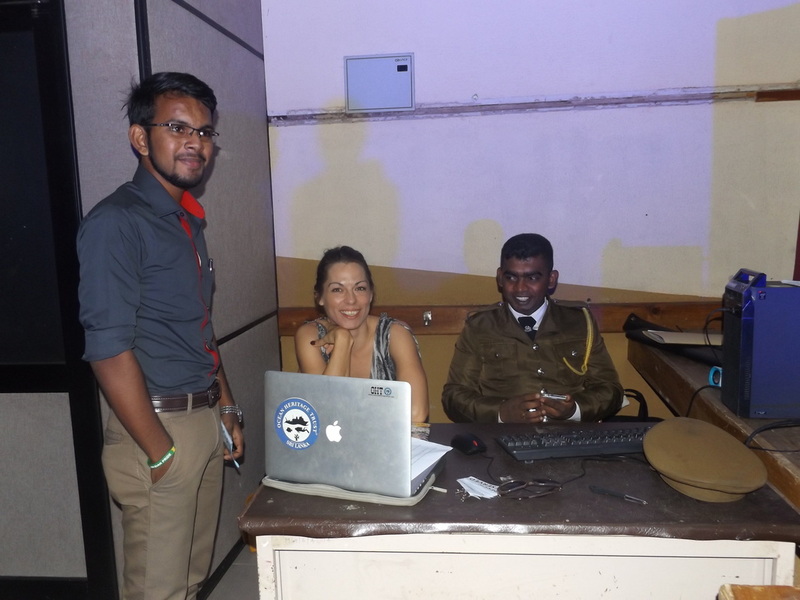 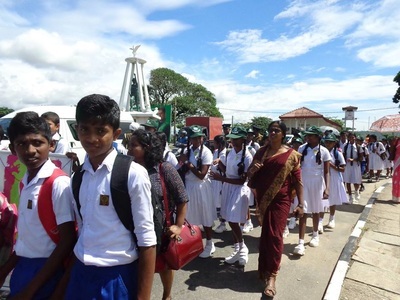 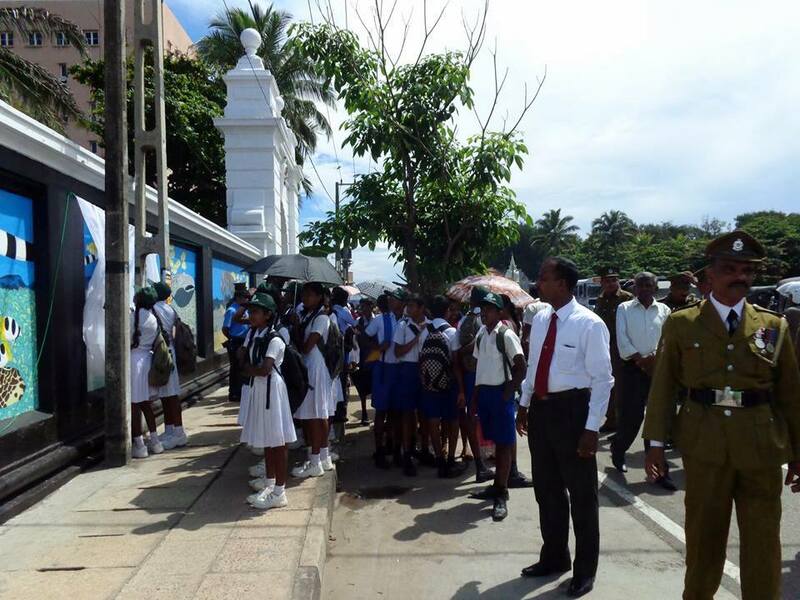 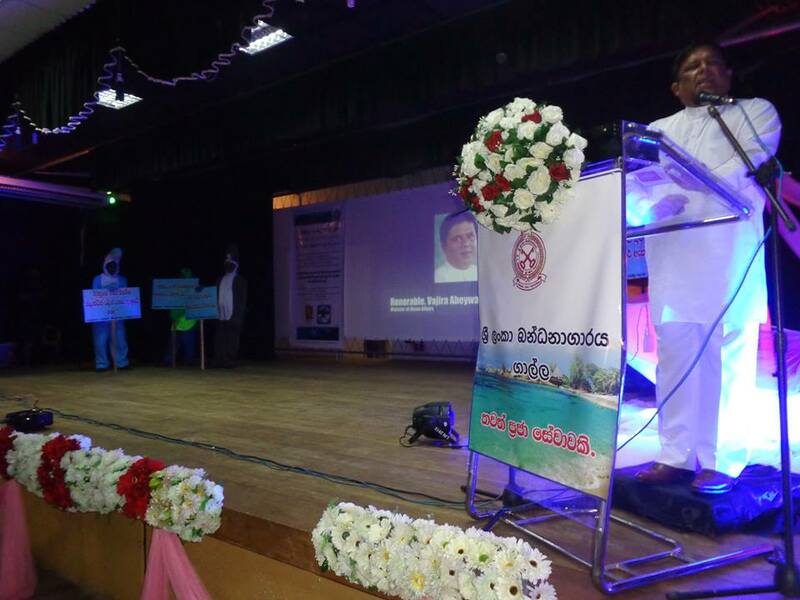 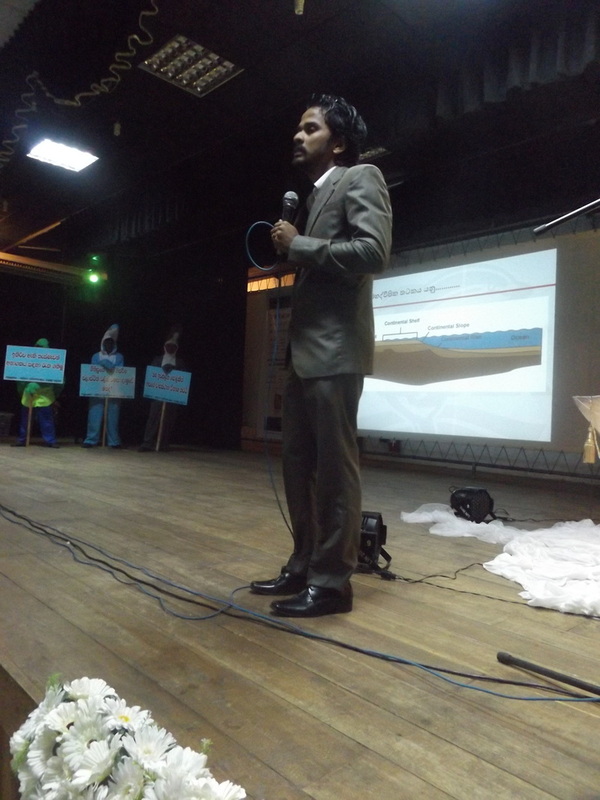 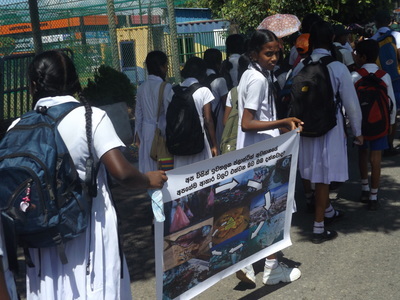 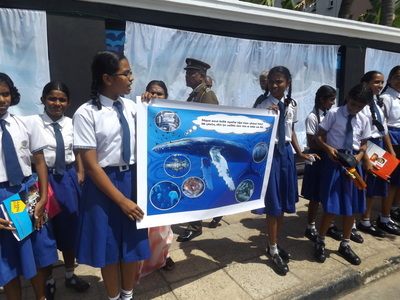 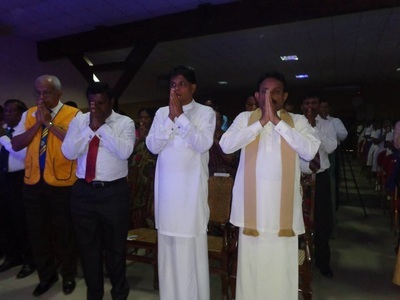 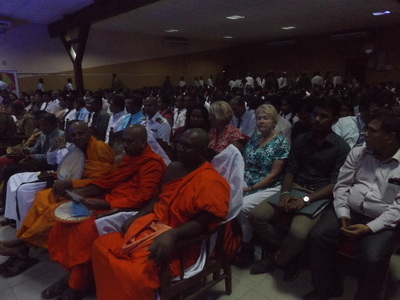 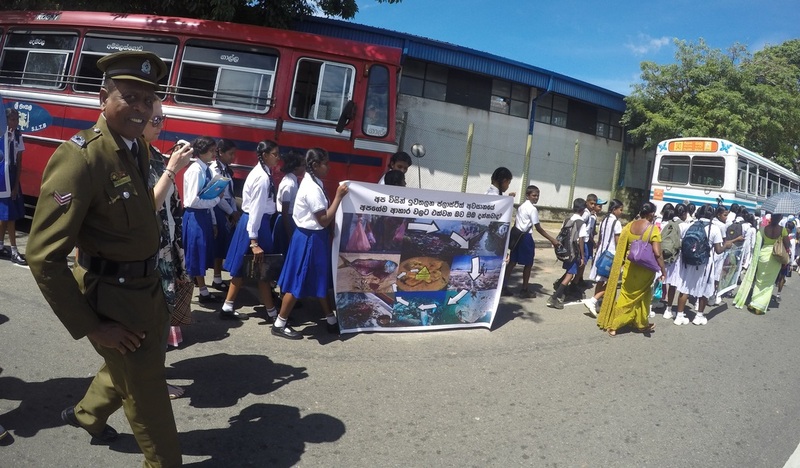 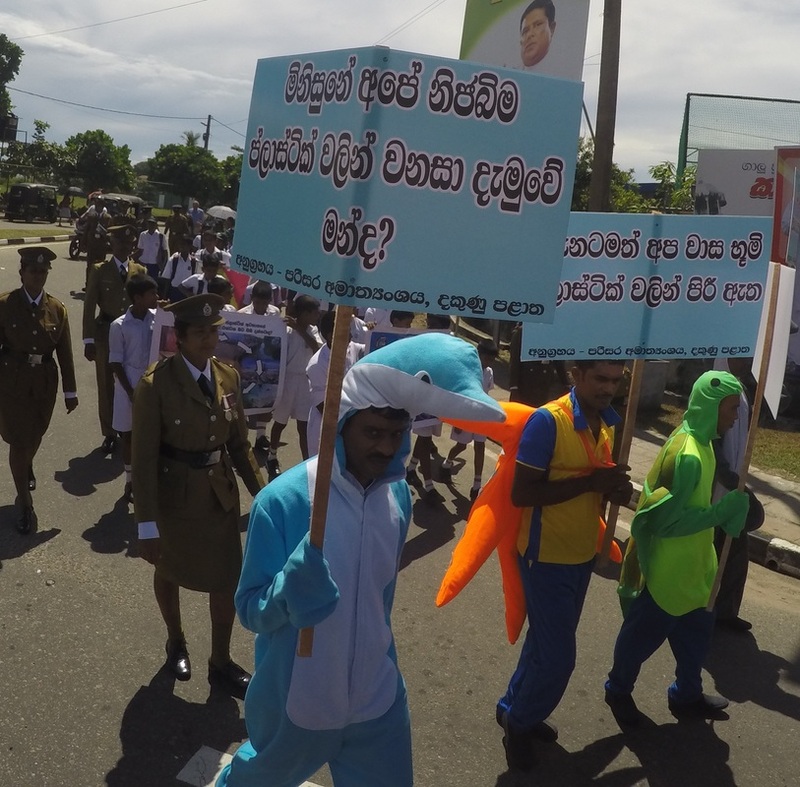 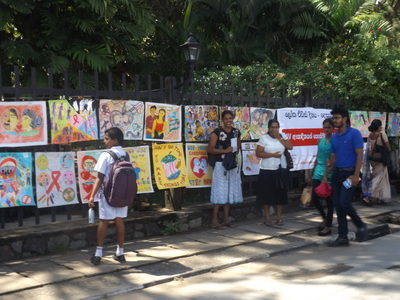 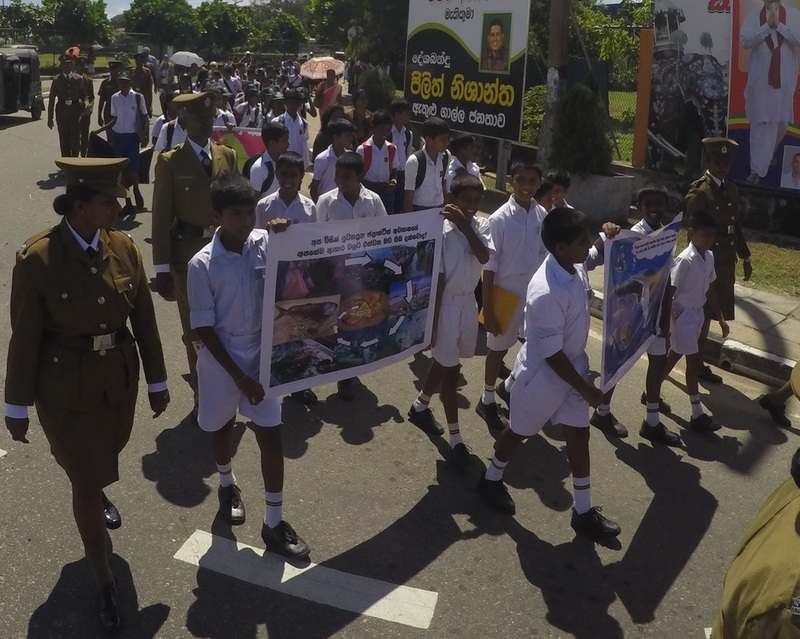 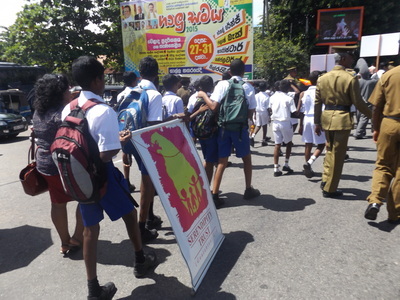 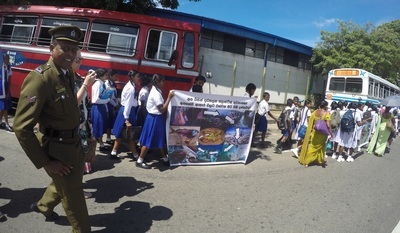 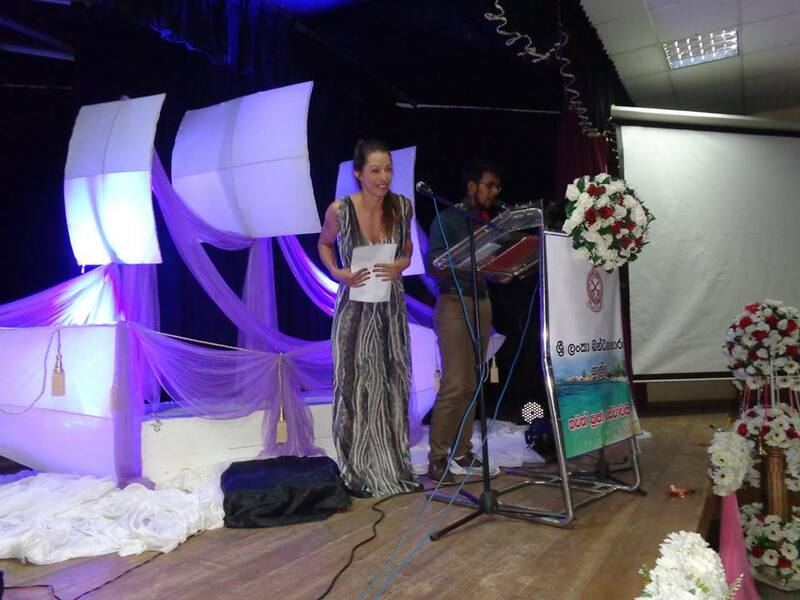 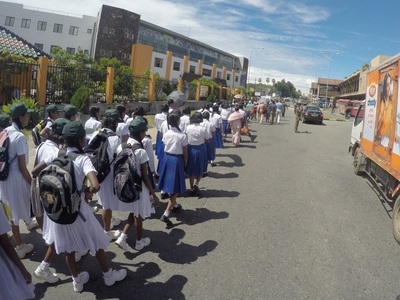 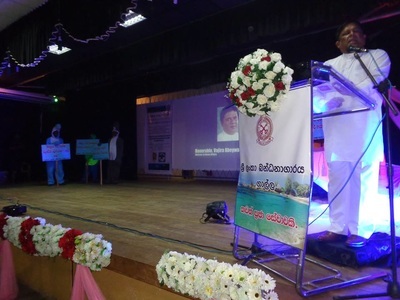 The Oceanic Conservation Murals project is about raising awareness and educating in Sri Lanka about plastic pollution in our oceans and the effect it is having on our health and environment. 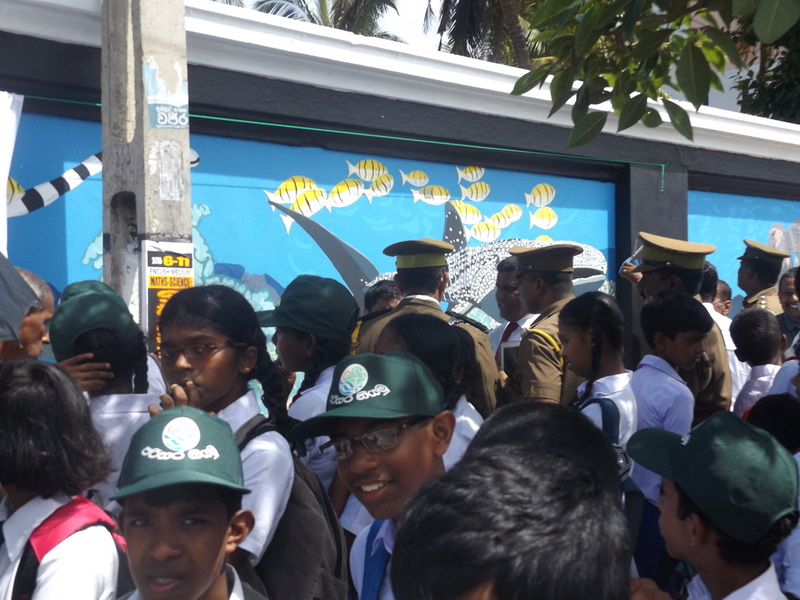 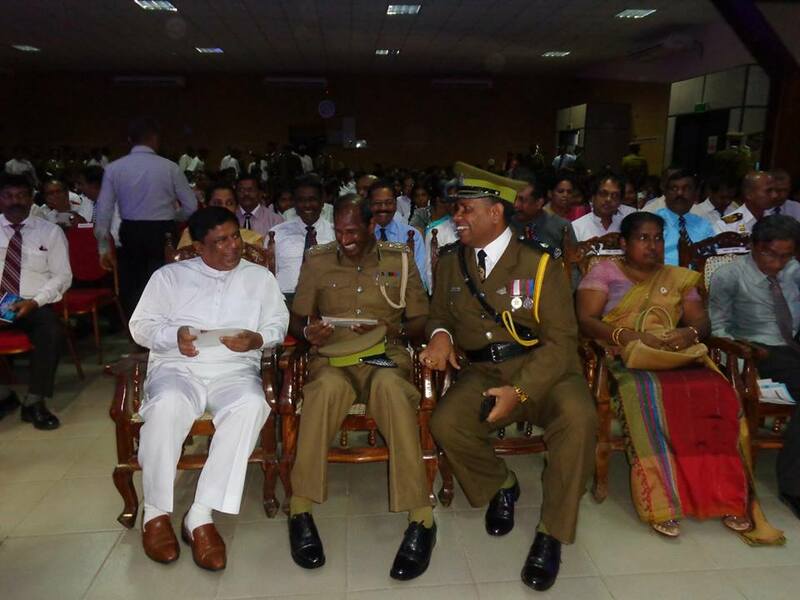 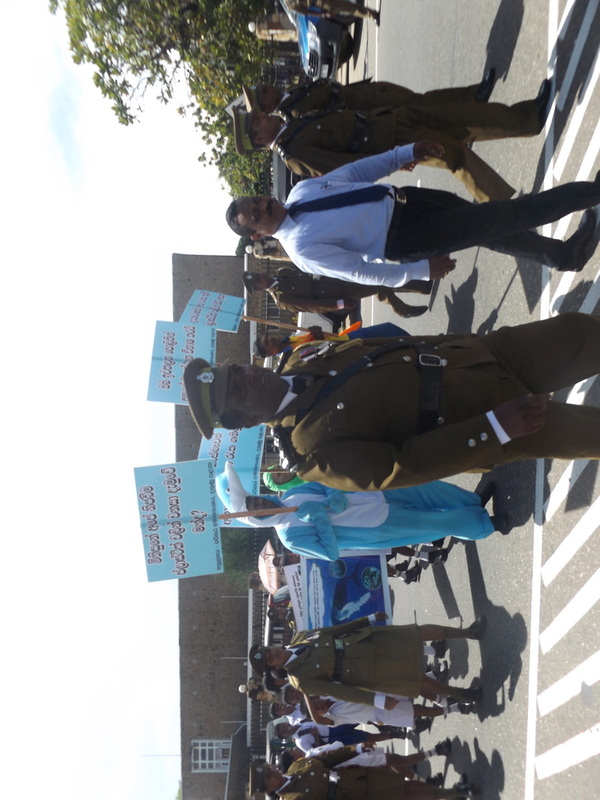 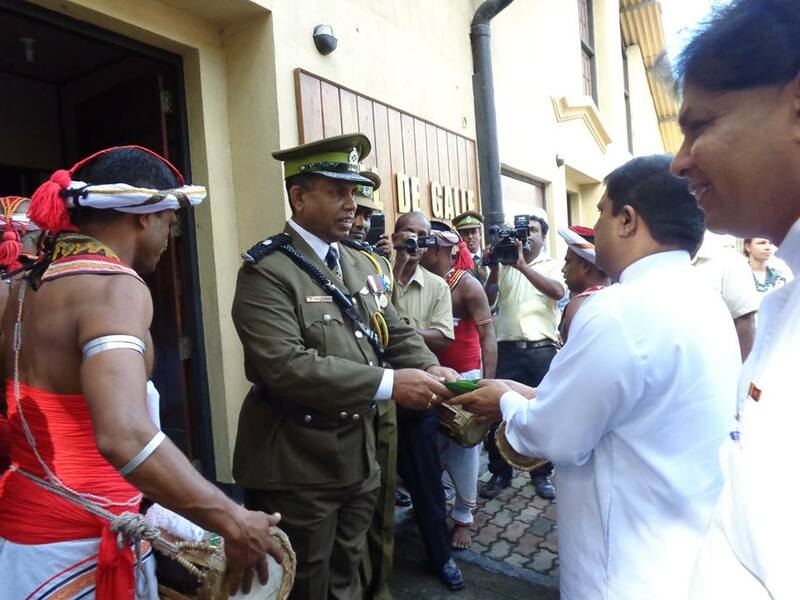 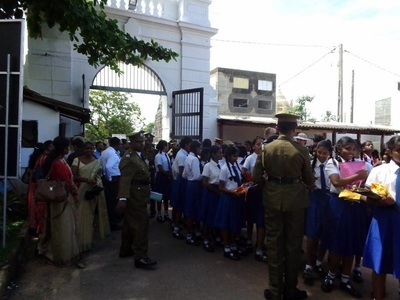 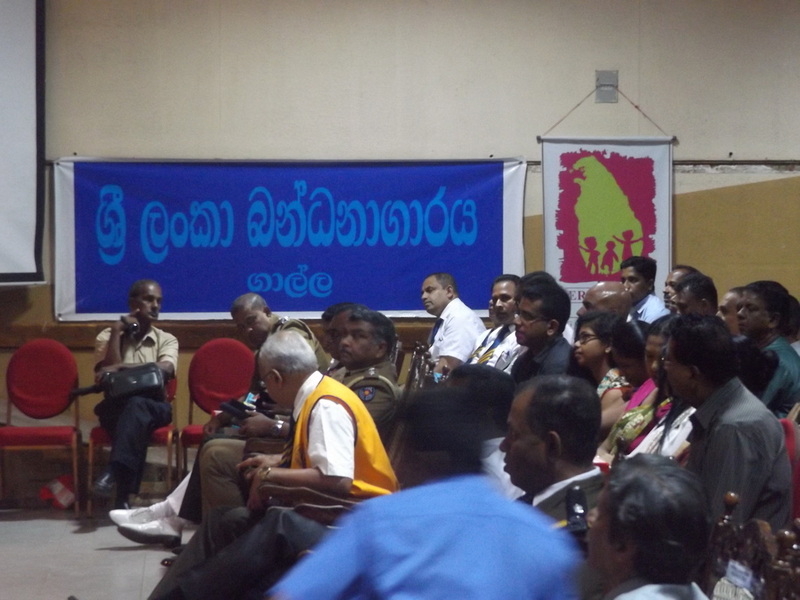 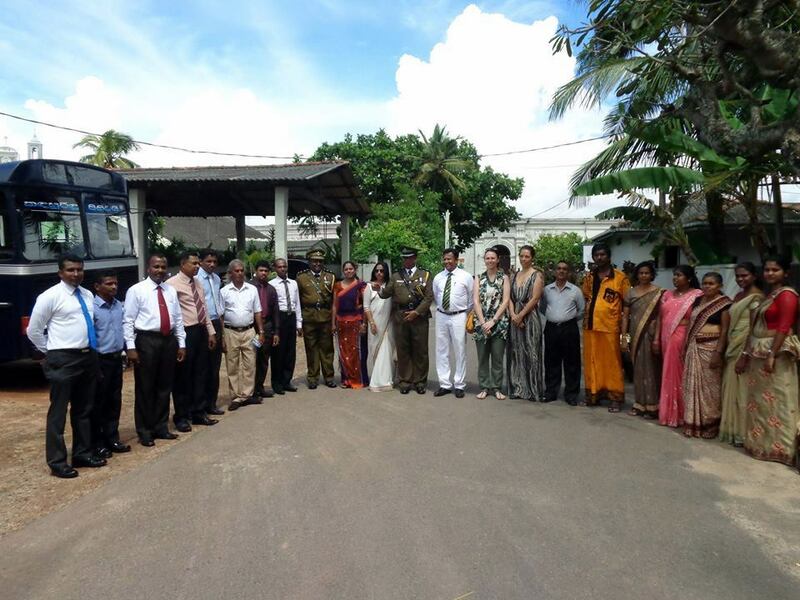 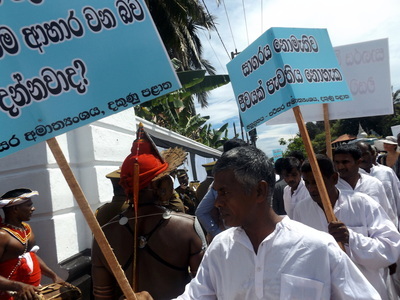 The Prison organized two days of beach clean ups with the prison inmates and local community. 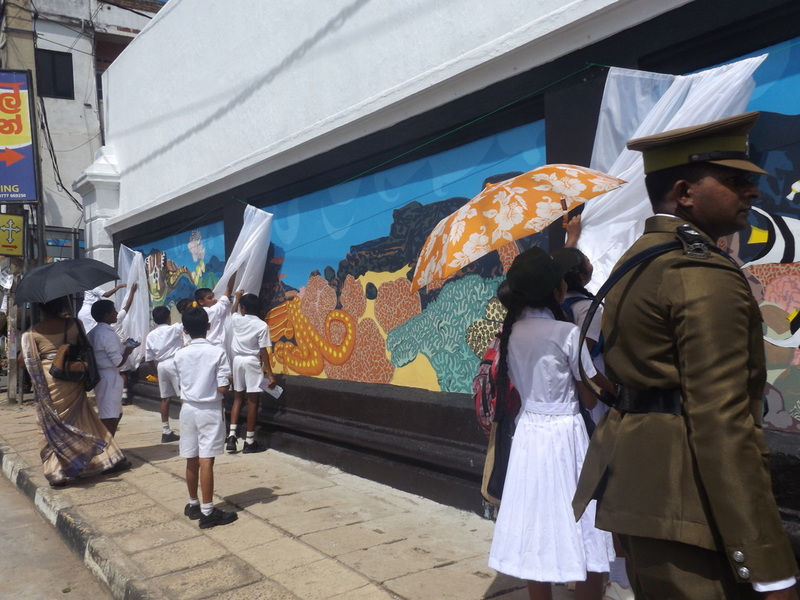 At the grand opening of the mural, educational speeches about the ocean and plastic pollution were given in a community hall to a crowd of 700 people. We then all walked through the city handing out flyers and giving information about plastic pollution.